In networking the mask is inherent of the address. The notation of mask can be full dotted decimal or just the numer of ones counting from the left of the mask. So 16 is the numer of ones from the left of the mask. Lets take look at the example. Tha network address is 192.168.0.0 the mask is 16. From those factors we can designate the network portion and host portion. 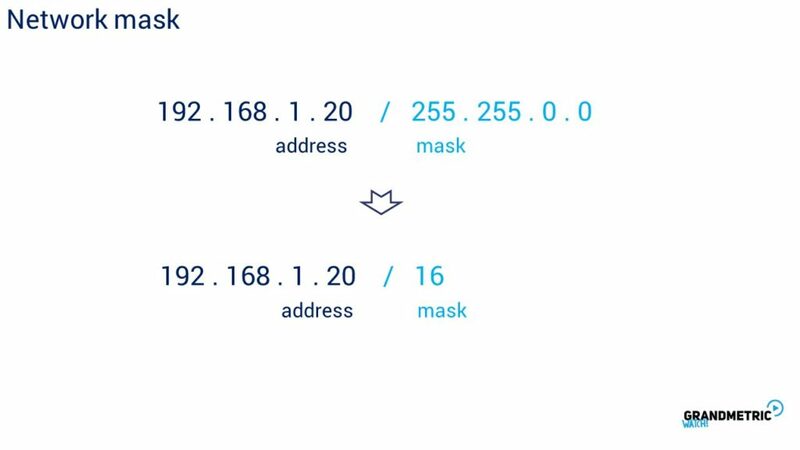 Network portion is portion of ip address that is on the left side of mask . The host portion is the right side of mask. Host porition is the addressing space for host withing partciular network. In our example the host portion is 16 bit tha makes 2 ttp of 16 addresses. 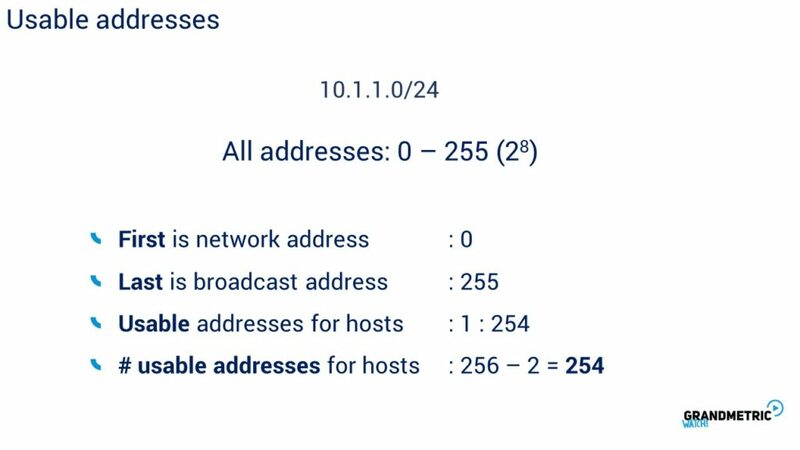 This means that for /16 network we have space for 65535 addresses. In another examle we have mask of 24 bits. Counting from the left we have 8 bit space left for the hosts space. Tha makes 2 ttp 8 256 potential addresses. However not all addresses from the space can be used for devices. Now if you now the crucial terms like address space, network adderss and network mask we can take a look at the addressing planning subjecct. Given following topology we can see network devided by router to 3 networks segments. 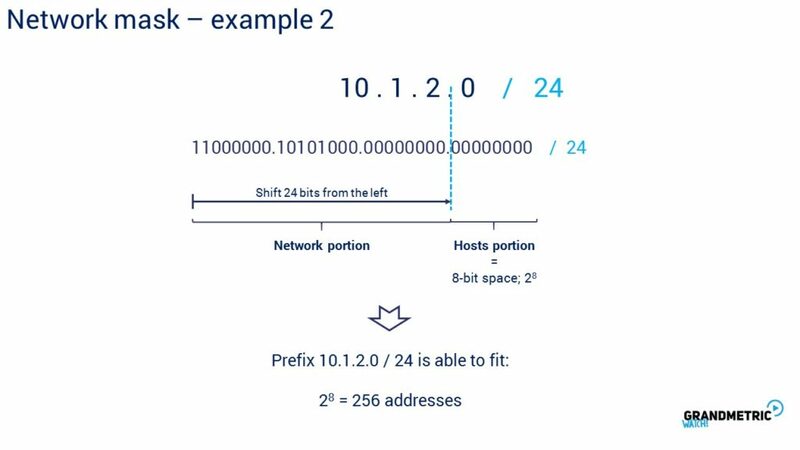 Netwok A has address space for 256 addresses but there only 3 host inside, networks B and C have also /24 mask so 256 addressgin space. This might sometimes not optimal to loose the address. Lets Focus on addressing optimization, usable addresses counting. When having 24 bit mask we have 1 octet free for host space. 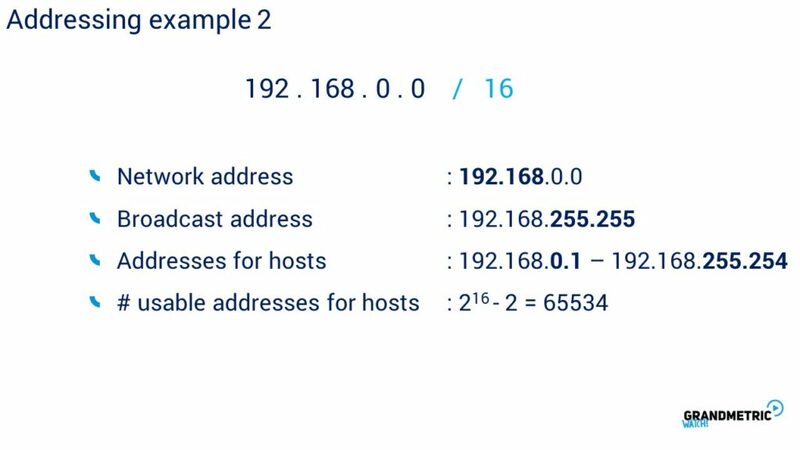 Hta makes 2 ttp of 8 possibilites so its 256 but first possible address is always reserved for the network address itself, in our case first address will be 10.1.1.0 and this is network address or sometimes called network prefix. Last address within the network is reserver for broadcast used typically in one to any communication. So usable address for devices are from 1 to 254. You can also make quick formula from described rule. 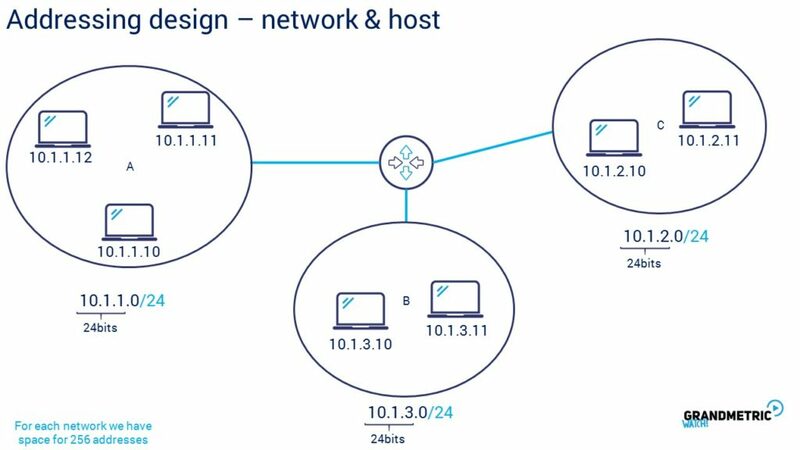 Usable addreses for host equals space – 2. one for network and one for bcasty. Having example lets try to count yourself. 192…. And again example numer 2. In 1981 there was an efort of systemize addressing scheme. The introuduction of Classull network defined the address ranges that fit into particular address class. There were 5 classes class, a,b,c,d,e. 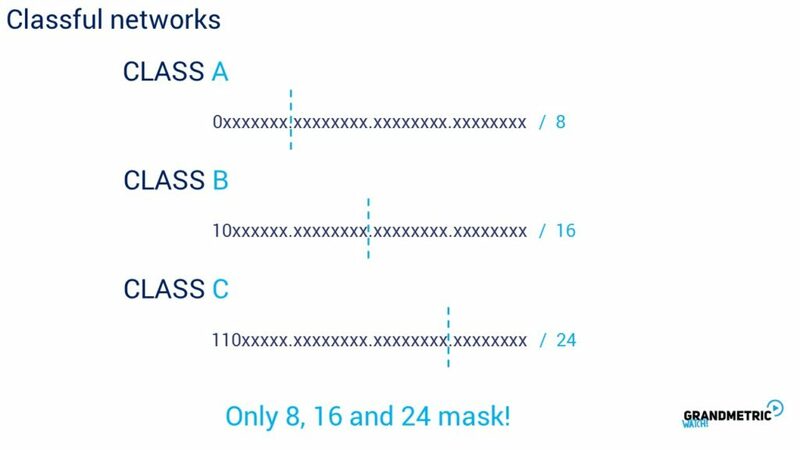 The mask length had only 3 options: 8 bits for class a, 16 bits for class b and 24 bits for class c. class d was used for multicast type of traffic only and class e was reserved for special purpose. 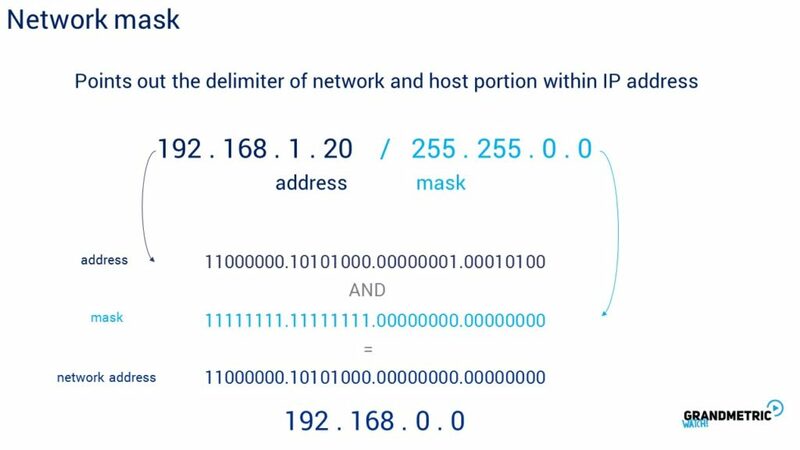 If you had to address your private network you had to use addresses from class a b or c with specified mask. Log in to gain an access to videos, full transcripts and certification!